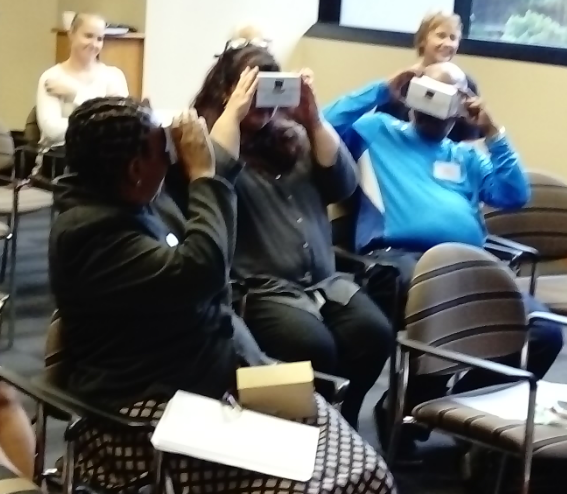 The Maths and Science CoP’s first session for 2018 explored the exciting possibility of using Virtual Reality (VR) in the classroom. The talk and demonstration by Richard McAdam of The Virtual Space brought a new dimension to the CoP’s continuing exploration of technology in education, and gave participants an opportunity to experience VR applications that are already available, or are soon to become available. Richard believes that VR and education are a natural fit, and that VR has great potential to improve education in Africa. 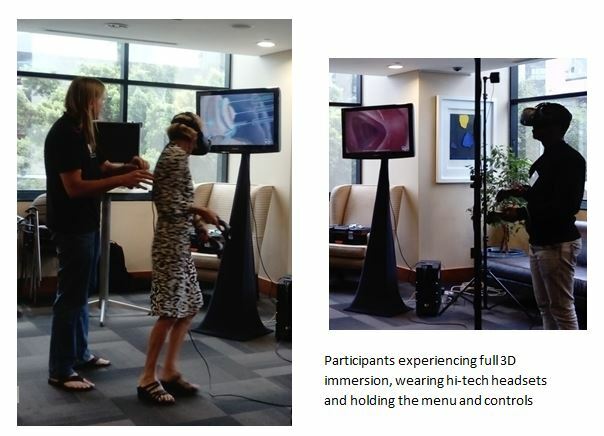 VR offers highly engaging and interactive experiences that make learning accessible, effective, and fun. It merges technology and creativity to create illusions that offer a range of experiences and learning that learners would not be able to get in any other way. Imagine being inside a three-dimensional beating heart, or watching the planets revolve around the sun in the centre of the classroom! Two apps with great educational content that are currently available are Discover South Africa and Google Expeditions. Google Expeditions is a library of high-quality content designed to be used in the classroom. It contains over 700 panoramas of a wide variety of subjects such as space, history, science, the ocean, nature and the human body. While the app is free, learners need smartphone-based headsets to view the panoramas and the teacher needs an Android tablet. The teacher downloads the panorama before the lesson and controls the experience. The teacher sees the panorama on the tablet, as well as ‘smiley faces’ which show where the learners are looking, and uses arrows to direct their attention to points of interest. The tablet view includes notes on the topic of the panorama, as well as questions and answers. Google Expeditions can be used in classrooms without internet, with up to 8 learners at a time. With external wifi in the classroom and a router, up to 30 connections are possible. More information can be found on Richard’s website: https://virtualrealitysystems.co.za. Richard can also be contacted for advice or to arrange demonstrations.